I was lucky enough to be off from work on day that I got the opportunity to watch my top three most respected idols on TV - the Obamas on the Oprah Show. 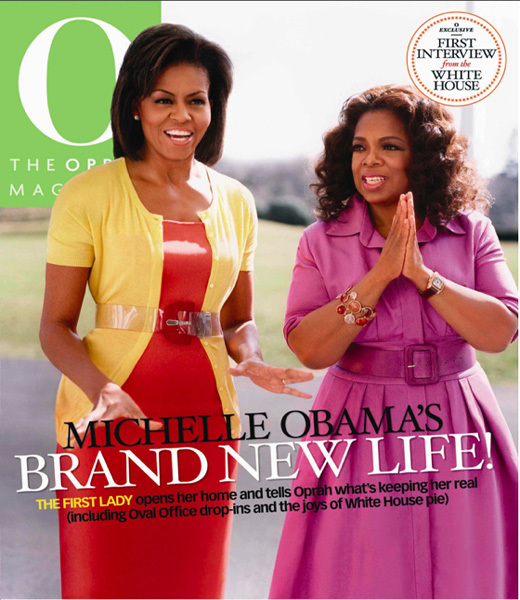 Today's post is all about my love for Michelle Obama. She is a beautiful woman who is sophisticated, poised and intelligent all while exuding a real down to earth candor and sassiness, which I love. I appreciate that the First Lady has her own sense of style and sometimes makes quirky style choices, she knows what she likes and what works for her body, and at the end of the day that is what counts. I love the fact that she also dresses in a way that many of us can relate to and every day women can look to her for style cues. Cardigans, ladylike dresses, brooches, belts, kitten heels and flats are signature pieces that we often see her in. She may be the First Lady now, but first and foremost, she is a wife and a mother with a full plate and I've enjoyed watching her style evolve over the last two and a half years - from her hairstyles, to eyebrows and wardrobe. You see her mix up her accessories such as jewelry and belts with other outfits the same way we all do. Today, she was resplendent in a vivid printed dress by Nigerian-born British designer Duro Olowu with lipstick red, patent kitten heels. 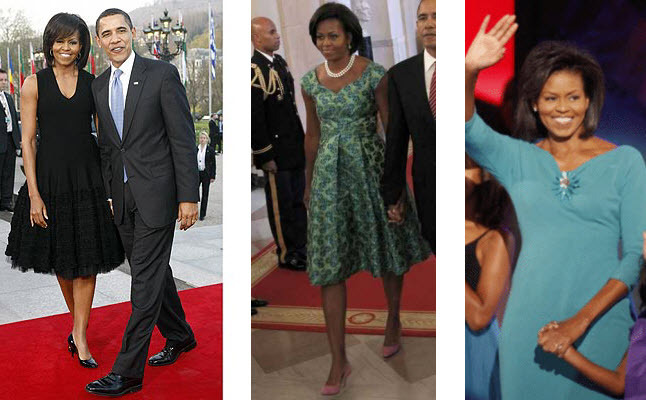 Although Mrs. Obama certainly has access to any and every high end, couture designer of her choice, she also wears items from retailers that are accessible to all of us like a cardigan from J. Crew, a dress from Target and pieces from Banana Republic﻿.